Don’t just sew for your kids. Sew with them! 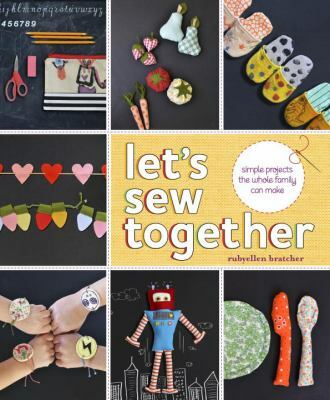 Simple sewing techniques make craft time fun for kids and grown-ups alike in Let’s Sew Teogether, with ideas for vintage-inspired clothes, accessories, quirky home decor, cute toys, and sweet gifts designed by the mum behind the popular parenting and craft blog Cakies.